No experience needed. 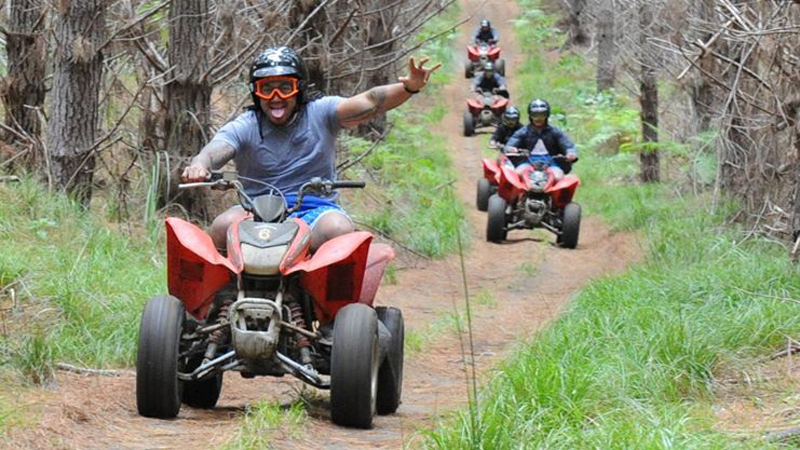 This is a great introduction to the thrill of riding 4 wheel motorbikes. 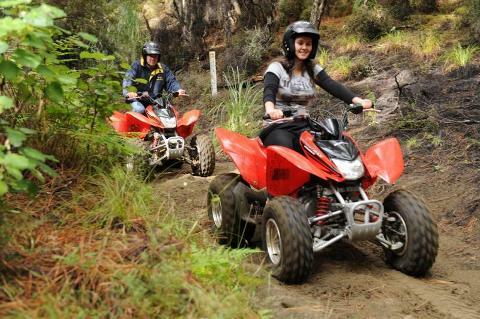 This tour Rides through Manuka and Kanuka forrest tracks and is tailored to suit the individuals riding capabilities. Full instructions are given and the tour is fully guided. Ride high to our lookout and take in the spectacular coastal scenery, manoeuvring your bike amongst the trees and splashing through mud and sand tracks through out the safari. Bring sturdy shoes, long pants and your camera. We will supply, helmets, goggles and wet weather gear.